Pierce in a 2008 performance. For three decades, Jason Pierce simultaneously has been one of rock’s most notorious yet most productive addictive personalities. 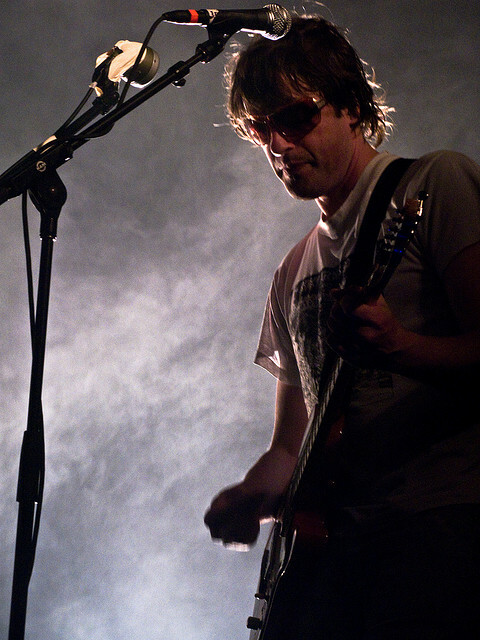 After his early days wandering through the opium haze of Spacemen 3, he launched a phenomenal second act by looking toward the heavens from the bottom of a deep, dark hole of drug abuse, merging the Velvet Underground’s droning minimalism with a newfound fondness for gospel on Spiritualized’s 1992 debut, Lazer Guided Melodies. Ande matched that peak again, mining the misery of failed romance, with the 1997 album Ladies And Gentlemen We Are Floating In Space. The other four entries in the band’s discography certainly have their high points (pardon the pun). But Pierce’s pain just wasn’t epic enough, or there were too many other pleasant distractions from his obsessions with music and drugs, to quite equal his two masterpieces. With the new Sweet Heart Sweet Light, however, he finally has done it again, though thankfully, he’s in a much healthier and dare we say more mature place after a life-threatening battle with degenerative liver disease and six months of chemotherapy. “Life is a problem,” Pierce sings at one point, and such is the suppressed pain and world-weariness evident in his voice that you cannot doubt he believes that’s true. But with survival has come the ability to place the problems of existence in their proper place, and to express an optimism that all of us can emerge on the other side. “Living my life on a prayer now/Got no right to be here… Freedom is yours if you want it,” he sings. That sentiment permeates these 11 brilliant tracks, and for the first time, you wind up feeling as encouraged by a Spiritualized album as you are dazzled and disoriented by the swirling psychedelic symphonies.